Sparkle Me Pink: Younique 3D Fiber Lashes Giveaway! Younique 3D Fiber Lashes Giveaway! 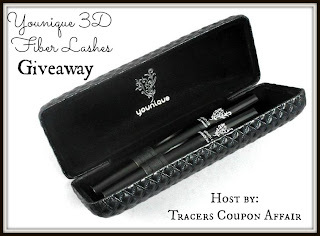 Enter to WIN these amazing Younique 3D Fiber Lashes! I teamed up with some amazing bloggers to give you a chance to WIN these amazing Younique 3D Fiber Lashes!! These lashes enhance and magnify your own lashes! You can learn more about these amazing lashes HERE. To enter this Giveaway just fill out the Rafflecopter form below! GOODLUCK! I like the magnetic nail polish.